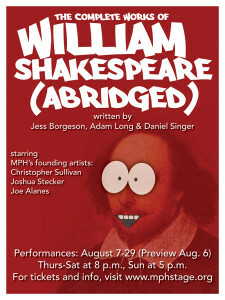 ‘The Complete Works of William Shakespeare (Abridged)’ Tickets On Sale Now! 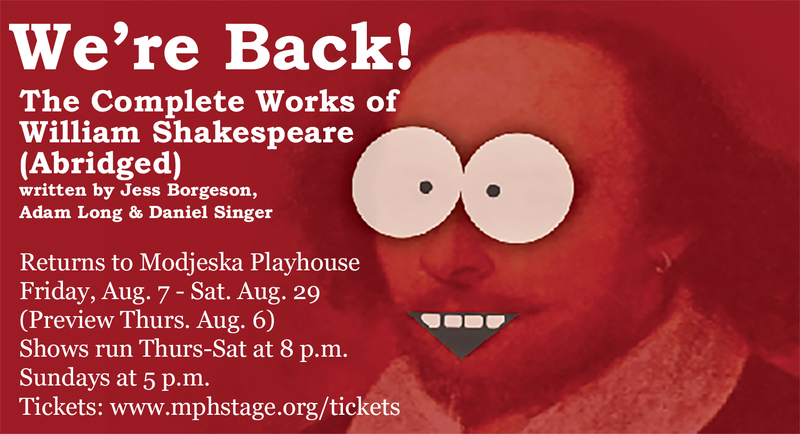 No knowledge of Shakespeare is necessary to enjoy this madcap comedy, in which the three founding artists of Modjeska Playhouse set out to perform all 37 of the playwright’s works (plus his sonnets!) with hilarious results. These theater classics undergo some changes, of course. Titus Andronicus becomes a cooking show, Othello is summarized in rap, Macbeth turns from tragedy into broad comedy and Hamlet is pared down to less than a minute. 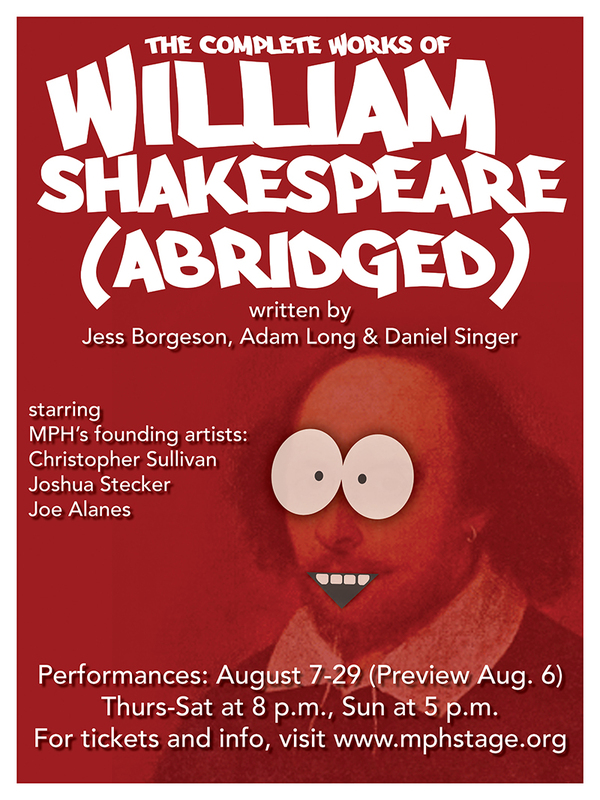 This wild ride was the very first show produced by Modjeska Playhouse back in 2008, and now The Complete Works of William Shakespeare (Abridged) makes its triumphant — and hysterical — return. August 6 – 29, Thurs-Sat at 8 p.m. and Sundays at 5 p.m. Preview Night, Thursday, Aug. 6 at 8 p.m. Closing Night, Saturday, Aug. 29 at 8 p.m.